This WMS serves as an overlay for exisiting map data and can be used for better orientation. 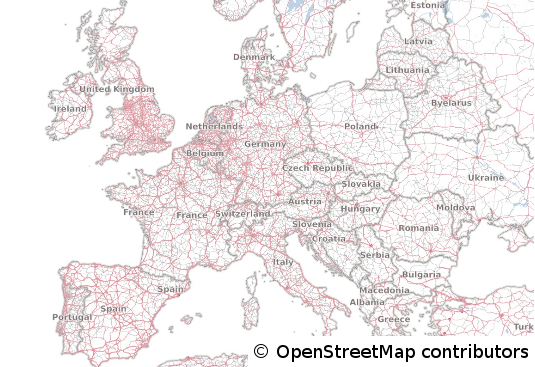 Based on the data of the OpenStreetMap-Project, it shows the major roads, places and waterareas. This service is especially useful when used together with aerial imagery or e.g. topographic data as a base. Please make sure to use an imageformat that supports transparency, like PNG. The WMS is rendered with the help of GeoServer and is cached and accelerated with the help of MapProxy, updated weekly and covers the whole world. As this service is based on the data of the OpenStreetMap-Project, you have to respect the corresponding copyright. If you use this service in your applications, make sure to include the copyright as stated here.